Whether traveling for business or pleasure, there's enough to do without worrying about who's taking care of your beloved feline companion. Our pet boarding facility was created and designed with your pet's comfort, health, and safety in mind. Your cat’s stay in our clean, temperature-controlled boarding area includes personal attention and supervision by our experienced staff and daily exercise in accordance with your pet’s needs. For your pet’s complete comfort, special toys, blankets and food are welcome. For our canine and feline patients who have chronic or acute medical conditions that require a caregiver with veterinary knowledge and experience, we offer specialized medical boarding. Your pet’s stay with us includes careful supervision by our experienced medical team, administration of any needed medication and daily exercise in accordance with your pet’s needs. Other items, such as special toys and blankets from home or preferred types of food, are also welcome. To best accommodate your busy schedule, we offer drop-off appointments, which include daycare service for your pet. While your pet is waiting to be examined, he or she can enjoy a complimentary nail trim! All canine boarders must be vaccinated for Rabies, Distemper and Bordetella. 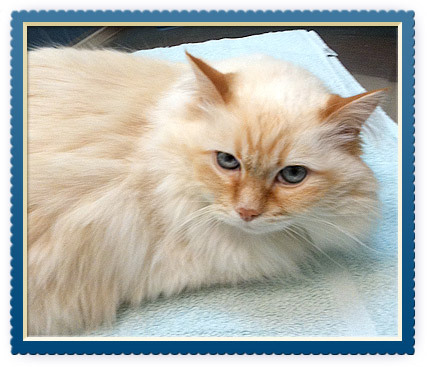 All feline boarders be vaccinated for Distemper and Rabies. Cats must also test negative for feline leukemia and feline AIDS. For your pet's comfort, Animal Hospital of Ivy Square is happy to offer grooming, bathing and nail trimming for dogs and cats. Baths and nail trims are an important part of your pet's overall wellness care and a great way to keep him or her looking and feeling great. Regular grooming can also help in the prevention and early detection of skin infections and growths before they become a serious problem. 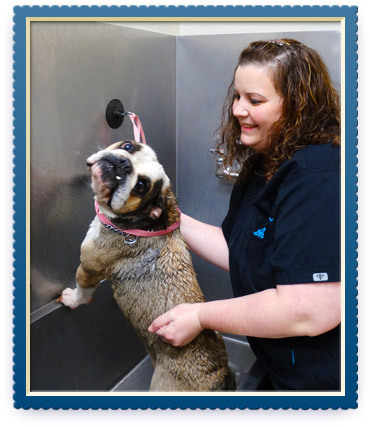 Our professional, friendly staff understands that each pet is unique, and we will make every effort to keep your pet relaxed and comfortable during all baths and nail trims. To learn more about our pet boarding and grooming services, call (434) 295-8387 (VETS) today!